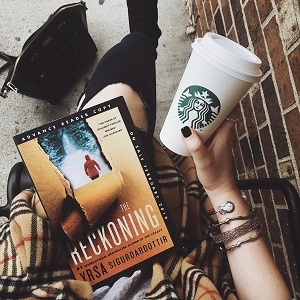 Two books into her Children’s House series, and Yrsa Sigurdardottir shows no signs of slowing down; THE RECKONING is as gripping and addictive as (and maybe even darker than!) its predecessor, THE LEGACY. Sigurdardottir is no stranger to horror writing: see her thriller I REMEMBER YOU for proof of just how dark her imagination can be. But with her Children’s House series, Sigurdardottir pushes her imagination in a new direction. Yes, this series has plenty of darkness, particularly when it comes to the modus operandi of the series’ many killers, but that’s not all it has to offer. The Children’s House books are proving to have an abundance of psychological depth, too: both THE LEGACY and THE RECKONING delve into the lasting legacy of childhood trauma. Though each story tackles the concept of trauma from a different angle, there’s a common undercurrent at work here. Through this series, Sigurdardottir presents readers with cases in which a past evil, one for which justice was perhaps never appropriately served, must be reckoned with in the present day. It’s an incredibly affecting focus for a series, and it lends the dark and twisted stories Sigurdardottir tells in these books remarkable emotional and psychological depth. Beyond the surface-level entertainment value of these twisted procedurals (though there is plenty of that, too! ), both THE LEGACY and THE RECKONING are heartbreaking stories of lives indelibly marked by violence. Speaking of entertainment value, there’s a whole lot of that to be found in THE RECKONING. What the plot summary of this book won’t tell you is just how gruesome this story really is. True to her own legacy, Sigurdardottir once again delivers a superb mystery with a serious dark side. In THE RECKONING, this darkness takes many forms. In the past, readers follow the disturbing case of a young girl who went to a classmate’s house to use the phone and never returned; in the present, readers follow protagonists Huldar and Freyja as they investigate a bizarre series of discoveries: dismembered limbs being found where they (naturally!) don’t belong. Woven throughout is a trenchant criticism of those in positions of power who refuse to believe or support children who find themselves in abusive home situations. For all the gruesomeness of the crimes she writes, Sigurdardottir also has a natural sense for when to show readers violence on the page, and when to let the violence happen “off screen” instead. Though this book plumbs the depths of human depravity, readers will never feel that Sigurdardottir is using this violence simply for shock value. Sigurdardottir tactfully navigates genuinely disturbing themes in THE RECKONING, and readers will feel all the more invested in finding justice for the story’s victims for the way she handles these gut-wrenching topics. The unflinching yet deeply compassionate way in which the author writes these dark plotlines will have readers glued to the pages. At the heart of any great crime novel is strong plotting and rich character development, and readers can expect both from THE RECKONING. Peel back the layers on this dark story, and readers will discover that THE RECKONING is at its core a superbly plotted police procedural - a story that follows the investigative process of a team of police officers. In this case, readers follow Detective Huldar as he discovers that the case he thought he was given simply to keep him busy (he’s in trouble with his superiors at the start of this book) might actually be a pivotal piece in a dark story that has been festering for years just under the surface. Partnering with child psychologist Freyja, a woman with whom Huldar shares a romantic past, Huldar soon finds himself drawn into a web of longstanding secrets. Just as in THE LEGACY, Sigurdardottir does a masterful job weaving together a number of different plotlines here to create one rich, disturbing tapestry. 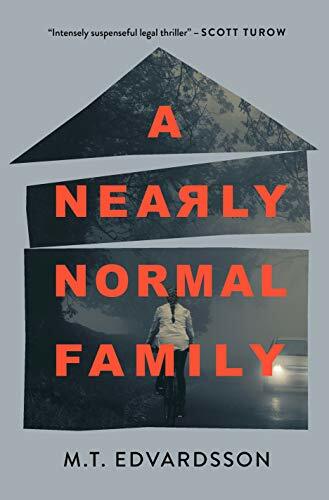 As a reader, it’s such fun to find yourself in the middle of a story like this: one in which the author confidently and methodically brings together numerous disparate threads to create one coherent - and shocking - final reveal. Huldar and Freyja make for a motley investigative team; they are quite often at odds with one another, and readers will love the constant back-and-forth that defines their working relationship. They are practically never on the same page, and their quite contrary dynamic adds a touch of humor and levity to an otherwise heavy story. 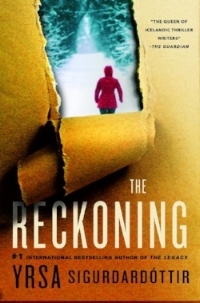 THE RECKONING is a superb follow-up to Sigurdardottir’s THE LEGACY. If you have not yet read THE LEGACY, consider this your friendly reminder to do so; while THE RECKONING can be read as a standalone, readers who know Huldar and Freyja’s backstory will have the most fun observing their relationship in this novel. Sigurdardottir has become a mainstay in my personal library; her books consistently deliver some of the darkest and most compelling stories of the Nordic Noir genre, and I am already eagerly anticipating the next book in this outstanding series.